Updating, upgrading, or replacing an Electronic Health Record (EHR) system is no small task. It requires a solid understanding of all the "what-ifs" and "how-tos" necessary to effect a successful transition as well as a smooth transfer of crucial patient information. general reluctance to being subjected to another implementation process. Hasn't Enough Money Been Spent Already? This is certainly the most difficult one to consider because it addresses the bottom line of your business. However, you may find that the results may outweigh expense. In addition, the risk of remaining technologically stagnant can result in serious ramifications that extend far beyond system transition expenses. The key is an honest analysis of what would be nice to have vs. what is essential. 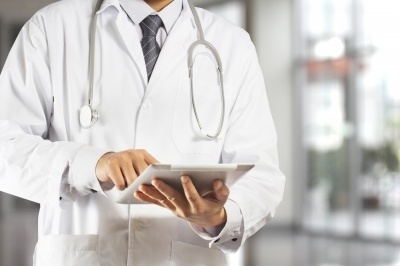 Is the practice perfectly aligned for ICD-10 requirements? Does the system currently satisfy Meaningful Use necessities? What changes would improve the business's efficiency and/or productivity? By carefully assessing the current status and available improvements, and focusing on a select group of reliable vendors, the clearest plan of action can be determined. Choosing a vendor is as important as the decision to choose one. Being selective is crucial. The vendor should be ONC certified, HIPPA compliant, ICD-10 ready and prepared for future Meaningful Use requirements as well. Fortunately, having once transitioned from paper to EHR, training and adapting to updates and system changes is easier. Asking the EHR vendor to demonstrate the process is helpful and should eliminate qualms about change. Choosing a few assessments and being shown how their processes work will encourage clinicians too. As with any new process or system, attitude and approach make the difference. Will Patient Data Be Secure? Concerns for the transfer of patient data, accurately and securely, is always at the forefront of any system change. Actually, changing systems is a unique opportunity to clean up and filter irrelevant data. Retain a copy of the existing system for awhile. Do some conversion testing before completing the transition. Ask the EHR vendor to walk, and advise the staff, through the process. Preparedness and leadership are important to the process. The staff should have plenty of time to adjust to upcoming changes and training. Effective, early communication is the cornerstone of building an eager, efficient, appreciative staff. Consideration and flexibility help maintain cohesiveness. In addition, patients will also appreciate a heads up. They'll want to know when a new process is in the works. Consideration for patient awareness will help strengthen the relationship between patient and provider. The staff should be comfortable with the anticipated workflow, new interface, and necessary technical skills. All software should accommodate staff needs. Any administrative backlog needs to be cleaned up to minimize potential transfer snafus. Practice and assess the new system's processes. Have EHR experts available for questions and necessary tutorials. Extract and transfer old data at least a month prior to going "live" so everything works smoothly and proficiently with patients. Create and plan for data loss mitigation scenarios and how to overcome them. Provide staff with opportunities to complain and help rectify any problems that arise. Stressing understanding and cooperation will help to alleviate their fears and concerns. An EHR transition should be as easy as possible. It can be the best way to improve relationships with staff and patients as well as solidify the future of a practice. HIS has experience working with a myriad of EHR platforms and have been involved with many implementations. We can be a valuable partner. By outsourcing the revenue cycle management (RCM) services, an office's workload can be lessened and the potential for costly mistakes minimized. Leaving those tasks in the hands of proven, qualified professionals - like Healthcare Information Services (HIS) - can avoid many headaches.